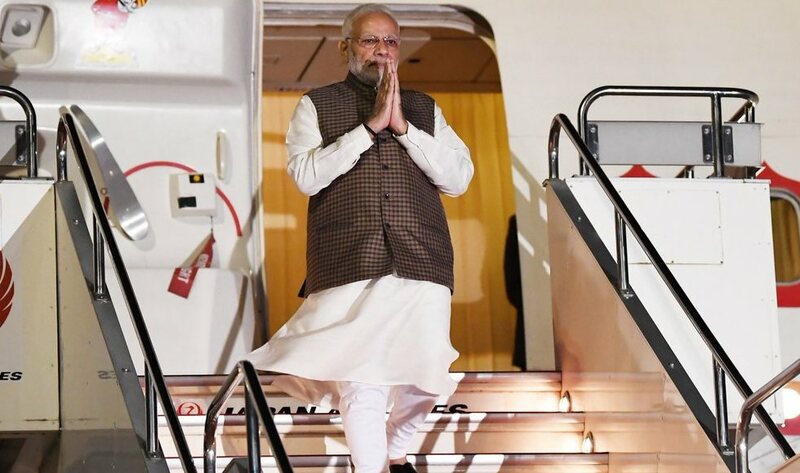 Donald Trump and Xi Jinping were as much a part of the talks as Modi and Abe were, and their invisible presence marked the bilateral agreements and vision statements that both leaders were to sign later Monday. 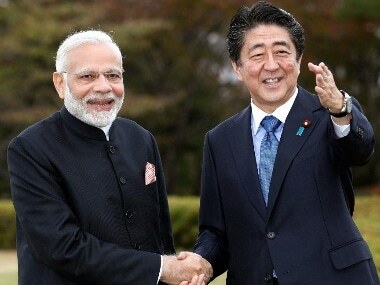 In his address to the Indian diaspora in Japan, Narendra Modi stressed on digital partnership, defence cooperation and the economic ties between the two countries. 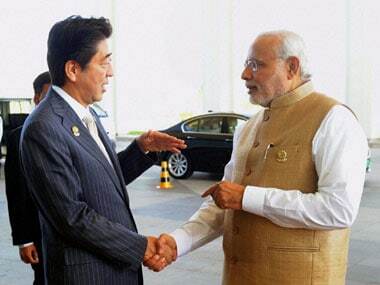 Prime Minister Narendra Modi will hold delegation level talks with his Japanese counterpart Shinzo Abe and attend the India-Japan Business Leaders Forum meeting on the final day of his official two-day visit to the archipelago nation on Monday. 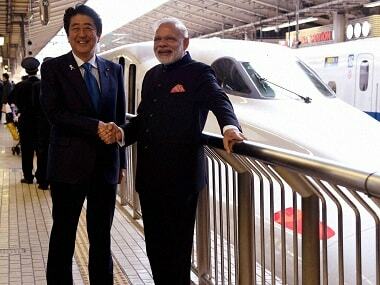 Prime Minister Narendra Modi arrived in Japan on Saturday for a two-day official visit to take part in the 13th India-Japan Annual Summit. 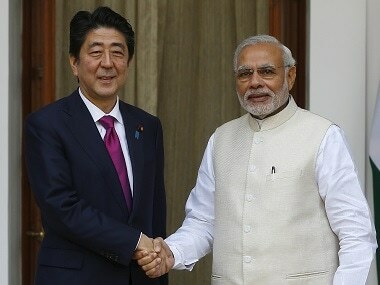 In a message published in Indian newspapers on the day Shinzo Abe hosted Narendra Modi at his holiday home in the picturesque Yamanashi prefecture, west of Tokyo, he recalled that the first Japanese prime minister to visit India was his grandfather Nobusuke Kishi in 1957. 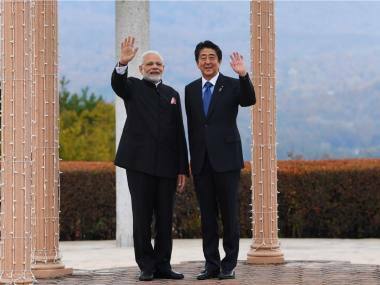 Prime Minister Narendra Modi met his Japanese counterpart Shinzo Abe in Japan's Yamanashi on Sunday as the two leaders sought to add new vigour to the strong friendship between the two countries. 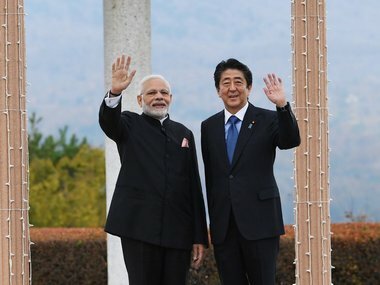 Over 9,000 police personnel will fan across strategic locations in the city to secure it for the two-day visit of Prime Minister Narendra Modi and his Japanese counterpart Shinzo Abe. 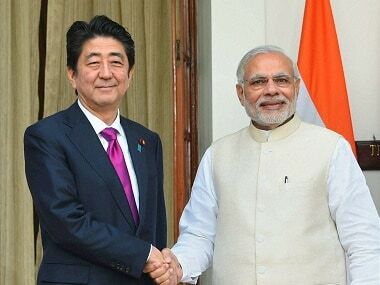 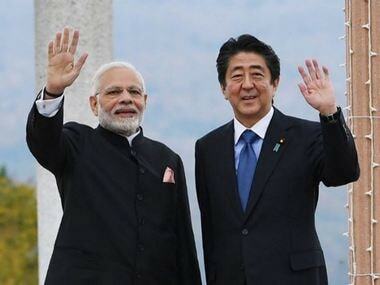 Prime Minister Narendra Modi and his Japanese counterpart Shinzo Abe will set the future direction of the special strategic and global partnership between the two countries when they meet this week, the ministry of external affairs said on Monday.